One common debate we hear among Walt Disney fans is whether it’s worth it to stay at a Disney deluxe resort. While this answer will vary from person to person, it’s certainly true that there are many experiences that you will only find at a deluxe resort – and they can make your vacation incredibly magical! For some of these experiences you can simply visit a deluxe resort, but for others you’ll need to actually be staying at one. Here are some of our favorite experiences you’ll only find at a WDW deluxe resort. Walt Disney World deluxe resorts enjoy the best locations on property. You won’t find a value or moderate resort within walking distance of a WDW theme park. 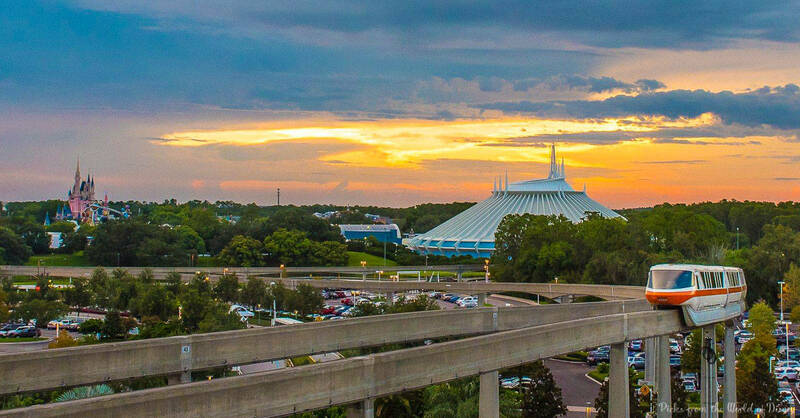 But if you stay at Disney’s Contemporary Resort, you can walk to Magic Kingdom in only 5-10 minutes – you can’t get any closer than that! If you’re staying at Disney’s Boardwalk Inn, Disney’s Yacht Club or Beach Club Resorts, or Disney’s Swan and Dolphin Resort, you can easily walk to Epcot. You can also walk to Hollywood Studios from each of these resorts, although it will be a bit of a hike from Disney’s Yacht Club and Beach Club Resorts. 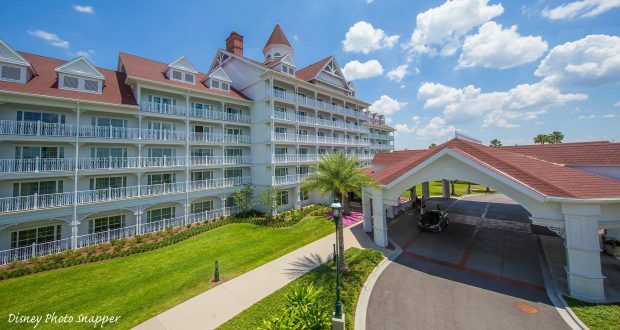 If you’re not up for a walk from your resort to the park gates, you have a variety of other transportation options available, as Disney deluxe resorts offer you the absolute best in everything, including transportation! Only deluxe resorts (Disney’s Grand Floridian Resort & Spa, Disney’s Contemporary Resort, and Disney’s Polynesian Village Resort) are located on the monorail line; in fact, the monorail runs right through the Contemporary Resort! Magic Kingdom, Epcot and Hollywood Studios are all accessible by boat from a variety of deluxe resorts. Of course, you can still take a bus if you wish! Sure, you can find something to eat at every Walt Disney World resort hotel. But only Disney deluxe resorts have the very best restaurants right on site! We’re talking restaurants you would probably make the trek for regardless of where you’re staying, because they’re just that good. 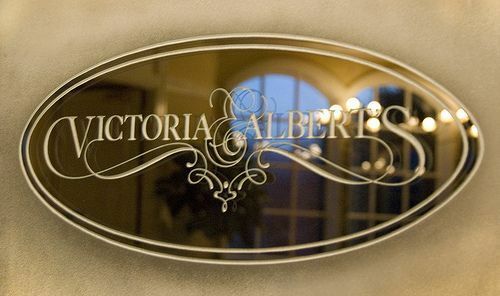 You’ll find the award-winning Victoria & Albert’s at Disney’s Grand Floridian Resort & Spa, the renowned steakhouse Yachtsman Steakhouse at Disney’s Yacht Club Resort, and interactive Polynesian feasts at ‘Ohana, at Disney’s Polynesian Village Resort. This is just the tip of the iceberg, though – all Disney deluxe resorts feature fantastic dining experiences, right on site. You won’t find Club Level rooms at any other Disney resorts but deluxe resorts. In fact, if you’ve never stayed at one, you may not even know what Club Level is! In a nutshell, you can pay more for a Club Level room that allows you to enjoy extra perks like access to a special lounge, some free food and drinks, and the help of a Club Level Concierge, who can make even more magic happen for guests. If you want to indulge in a VIP resort experience where all of your whims are catered to, Club Level is for you! 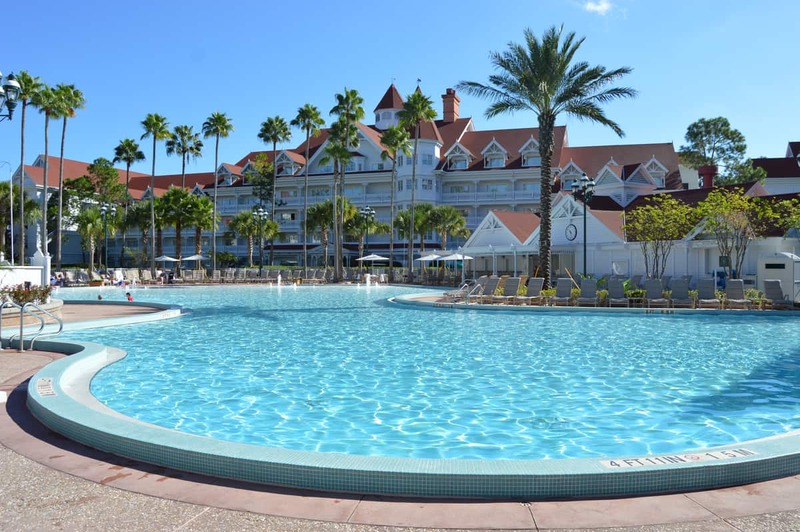 You’ll find pools at every Disney resort, so unless you’ve stayed at a deluxe resort, or have walked past a deluxe resort’s pool complex, you won’t even know what you’re missing out on! But we’re here to tell you that Disney’s deluxe resorts offer an upgraded pool experience (for guests of that resort only) that often in itself makes it worth the splurge. Want to swim at the foot of a breathtaking volcano, or maybe enjoy your own personal plunge pool? Book Disney’s Polynesian Village Resort. Fancy a plunge from a shipwreck, or a relaxing tube ride along a lazy river? Stay at Disney’s Yacht Club or Beach Club Resorts. Interested in watching animals on the savannah while you enjoy a dip? Pick Disney’s Animal Kingdom Lodge. Think your lobby is just a way to get from the bus to your room? Think again. At Disney’s deluxe resorts, a lobby is a destination unto itself. With comfortable seating that invites you to stay awhile, and entertainment, theming or visual attractions to keep you happily occupied for hours, these lobbies immediately set the tone for the deluxe resort experience you’ll enjoy. Check out the crystal chandeliers and live band that call Disney’s Grand Floridian Resort & Spa home, the hot spring and 82-foot-tall stone fireplace at Disney’s Wilderness Lodge, and the miniature amusement park rides throughout the lobby at Disney’s Boardwalk Inn. Of course, the best viewing location for Walt Disney World fireworks is the theme park itself! But good viewing outside of the parks is also possible – if you’re at a WDW deluxe resort. If you’re staying at Disney’s Grand Floridian Resort & Spa, Disney’s Contemporary Resort, or Disney’s Polynesian Village Resort, you can pay the big bucks for a room with a view of Cinderella Castle, but even if you’re not staying at these resorts, there are locations at each resort that you can visit for great views of the fireworks at Magic Kingdom. For views of the fireworks at Hollywood Studios, there are various spots at Disney’s Yacht Club and Beach Club Resorts, Disney’s Boardwalk Inn, and even Disney’s Swan and Dolphin Resorts to enjoy the show! If you still need more reasons for choosing a deluxe Disney resort, you should know that there’s an endless list of extras that you can enjoy as a guest of a deluxe resort. From access to spas and additional shopping to activities like animal viewing, archery and horseback riding, Disney deluxe hotels are crammed full of details and options to make you feel like a VIP. The rooms are slightly bigger than in other resorts, with more room amenities and stunning attention to detail at every turn. We even love the little extras like complimentary iced lemon water, ultra comfy beds and tantalizing scents pumped through the resorts!